Researchers at the University of New Brunswick are embarking on a study that they hope leads to the development of a protein drink that helps build muscle in the body without exercise. 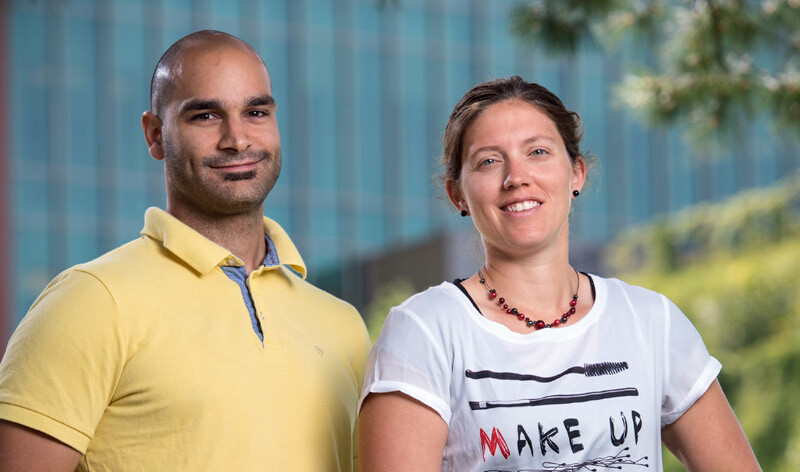 Danielle Bouchard and Martin Sénéchal, assistant professors of kinesiology at UNB, are leading the effort with colleagues to find ways to leverage the muscle-building power of protein supplements. This study focuses on adults over the age of 65. As we age, our muscle mass deteriorates. In advanced age, this decline makes it harder to carry out even daily tasks, never mind be active enough to build muscle to keep the body strong. “Right now, protein drinks don’t seem to work to increase muscle mass. One of the main reasons is the rate our bodies are able to absorb protein, which tends to be significantly lower than what is claimed by a lot of the products you find on store shelves,” says Dr. Bouchard. The researchers are testing a new supplement approved by Health Canada that could lead to better absorption of the proteins. If it works, they hope this can help build muscle mass in older adults and improve their ability to carry out physical activities others take for granted, such as climbing up the stairs. “Declining muscle mass in older adults can be a serious risk to their health,” says Dr. Sénéchal, noting it can lead to ill health, diabetes or even catastrophic injury. “We want to see if we can put protein to use in building muscle mass without exercise,” says Dr. Bouchard, who notes they will also be exploring the effect of using this supplement in conjunction with different exercise levels in the future. The researchers are seeking men or women in the Fredericton area between 65 and 80 years old to take part in the study. Some participants will receive the new supplement while others will take regular protein supplements. The study requires 12 weeks of involvement, including a few visits to UNB’s Fredericton campus throughout that time. The same researchers are also currently recruiting older adults for an indoor walking program, Silver Strides, where the main objective is to identify what walking cadence is needed to reach moderate intensity suggested by national physical activity guidelines. Those interested in volunteering for either of these studies are invited to contact the research staff at protein_study@unb.ca or 506-458-7034.